This entry was posted in Partner, Providers and tagged Senior Day Care. Bookmark the permalink. 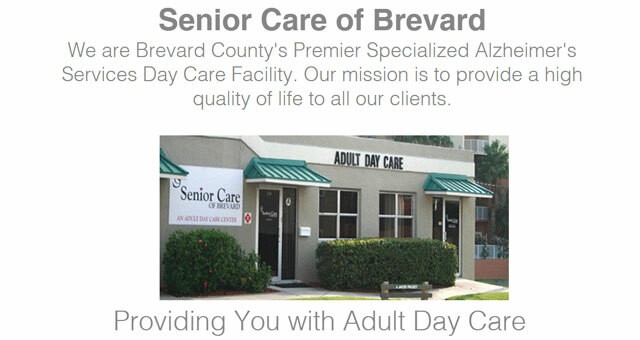 When a loved one needs adult day Care, consider Senior Care of Brevard. Their goal is to improve the quality of life for the dementia adult by providing a safe and secure building along with providing handicap accessible vans for transportation. The center allows the family (caregiver) the opportunity to resume a normal lifestyle, whether that involves work, or just allowing them a respite from the responsibility of care. Living with a disability can be discouraging. Though their life has changed, they are not less important. Allow Senior Care of Brevard to walk hand in hand together to meet caregiver’s and loved one’sbasic human needs, as well as maintaining everyone’s dignity.